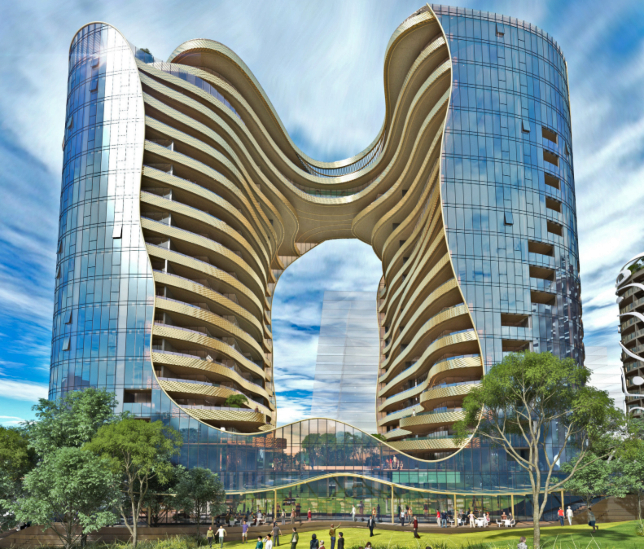 Developer Visionary has lodged three applications with the City of Ryde for a major $1 billion-plus mixed-use development in booming Macquarie Park. Located approximately 16 kilometres north-west of Sydney’s CBD, the development site is bordered by Macquarie University, Macquarie Shopping Centre and the Macquarie University Train Station. Visionary said it has exchanged contracts to acquire all of the apartments that comprise the existing buildings at these properties and has commenced completion of the acquisitions, with a five year timeline for the project. The development, Cottonwood Crescent, will comprise four distinct buildings. Plans for 88 Waterloo Road (lead image) include the demolition of the existing building and construction of a 20-storey building. The tower will offer 172 residential apartments, inclusive of six-penthouse apartments, across two separate towers connected at ground level and via a bridge at the penthouse level. “88 Waterloo Road provides a grand sense of arrival,” Visionary said. Car parking for 231 vehicles is proposed over three basement levels. Ground and retail tenancy is also planned to front Waterloo Road and Elouera Reserve. Plans for 86 Waterloo Road also include construction of a 20-storey mixed-use development, offering 153 residential apartments over six-levels of parking comprising 144 car spaces. Ground floor retail tenancy comprises a "venture café" on Waterloo Road. “If Cottonwood Crescent is a new model for living in a world class innovation precinct, then 86 Waterloo Road is its beating heart,” Visionary said. 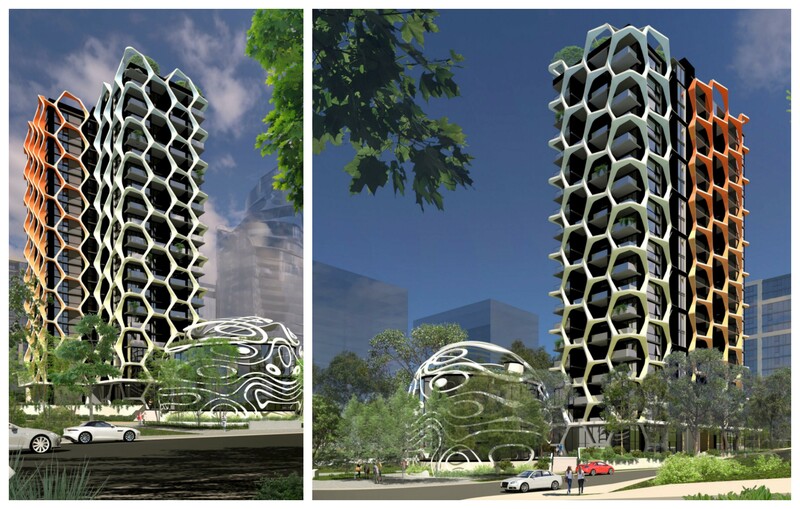 A 14-story residential apartment building, designed by architects Scott Carver, is planned for 8 Cottonwood Crescent. Plans reveal the site would offer 143 residential units, inclusive of 24 two-bedroom townhouses and four three-bedroom townhouses. Plans show the development will be surrounded by greenery and water features lined by a descent to Shrimptons Creek. Car parking for 163 vehicles is proposed over three-and-a-half basement levels. While 11 Cottonwood Crescent offers the Silkari Club for residents, including a range of health and wellness options. With plans to capitalise on an undersupply of growth, the developer said the Greater Sydney Commission’s North District Plan anticipates 196,350 additional people expected to live in the district in 20 years, 11 per cent of Greater Sydney’s forecasted growth. 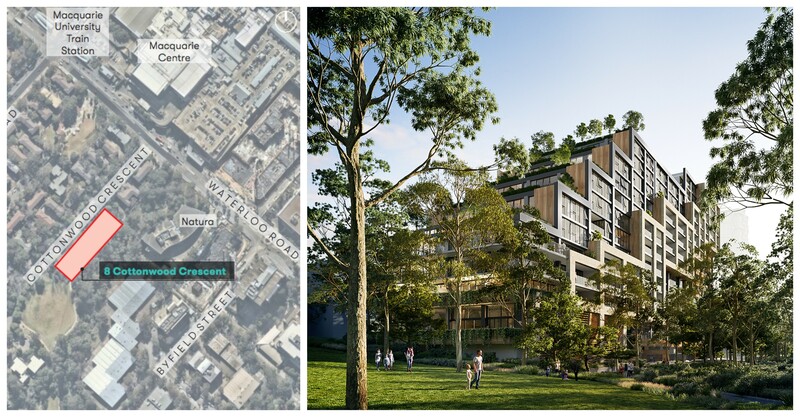 Late last year Visionary announced the final stage of its $260 million mixed-use community in Sydney's south-east suburb Pagewood. The Pagewood project adds 256 new dwellings to the area. Visionary purchased the 19,000sq m site, at 32 Page street, in 2016 from Robert Magid for $41 million.